Despite nationwide declines, Rio's upscale Leblon still tops Brazil, by a wide margin, in terms of commercial real estate prices, averaging R$34,791 per square meter for sales and R$138.32 per square meter for rentals. RIO DE JANEIRO, BRAZIL – According to the latest FipeZAP Commercial Index, Brazil’s commercial real estate prices, in both sales and rental sectors, continued its downward trajectory in April 2017. Brazil’s commercial real estate prices, in both sales and rental sectors, continued its downward trajectory in April 2017, photo by Tânia Rêgo/Agência Brasil. In the commercial real estate sales sector, Rio de Janeiro held on to its position as the city with the most expensive commercial real estate in Brazil: R$11,111 per square meter. Despite numerous reports of increased criminal activity plaguing the neighborhood, Rio’s upscale Leblon remains as the neighborhood with Brazil’s highest commercial real estate sale prices, with an average price per square meter of R$34,791 in April. However, this figure represents a drop from the beginning of 2017 when average commercial sale prices in Leblon hovered at R$36,800. Leblon was followed by the trendy neighborhood of Ipanema, which registered an average commercial real estate sale price in April of R$26,614 per square meter. Coming in a close third was Jardim Botânico, at R$25,847 per square meter. 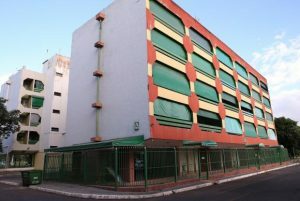 At the opposite end of the scale, in April, Brazil’s cheapest commercial real estate sale prices belonged to Belo Horizonte, which averaged R$7,543 per square meter. In the rental sector, Brazil’s financial capital, São Paulo, had the country’s most expensive commercial real estate rents, averaging $45.28 per square meter. Within São Paulo, the neighborhoods with the most expensive commercial lease prices were the commercial district, Itaim Bibi, with an average per square meter of R$65.92, Alto de Pinheiros at R$62.98 per square meter, and Bela Vista at R$61.95. In the commercial real estate sales sector, Rio de Janeiro held on to its position as the city with the most expensive commercial real estate in Brazil: R$11,111 per square meter, photo by Agencia Brasil. Despite São Paulo, as a whole, averaging higher commercial rental prices than Rio de Janeiro, Rio’s Leblon still had the most expensive commercial rental prices of any neighborhood in April, more than doubling Itaim Bibi at R$138.32 per square meter. 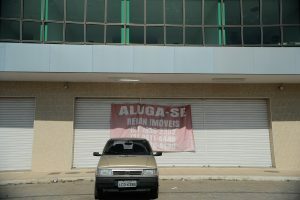 Ipanema commercial rentals were also higher than any in São Paulo at R$80.81, as was Botafogo, at R$80.46 per square meter. Looking at the data across the country from March to April 2017, commercial sale and lease prices fell 0.48 percent and 0.24 percent, respectively. In the past twelve months, sale prices for commercial real estate tumbled 3.66 percent, while commercial lease prices plunged 6.05 percent. Taking into account the rate inflation of 4.08 percent, as calculated by the IPCA/IBGE (National Consumer Price Index/Brazilian Institute of Geography and Statistics), the actual decline in commercial real estate sale prices was 7.44 percent and in commercial lease prices, 9.74 percent. The FipeZap survey also looked at the performance of Brazil commercial real estate as an investment compared to a lower risk alternative, such as the CDI (Interbank Deposit Certificates). When compared to the CDI, which is the interest rate calculated on the basis of what banks charge other banks, those who invested in commercial real estate took substantial losses in April. While the CDI yielded a return of 13.8 percent, owners of commercial real estate who leased their property were only able to gain an average return of 1.8 percent.